Kitchen waste, solid and liquid food residues, organic waste from food production, over sell by date or otherwise rejected food for humans and animals, packed or unpacked… At Olthuis we process all kinds of organic waste (swill) as raw material for the production of biogas. Difficult to get more sustainable! So if you want to dispose of kitchen waste or swill in a responsible manner, contact Olthuis Recycling. Do you want to quickly get rid of your kitchen waste? And preferably in a hassle free way? As a family business, we like to be as flexible as possible. 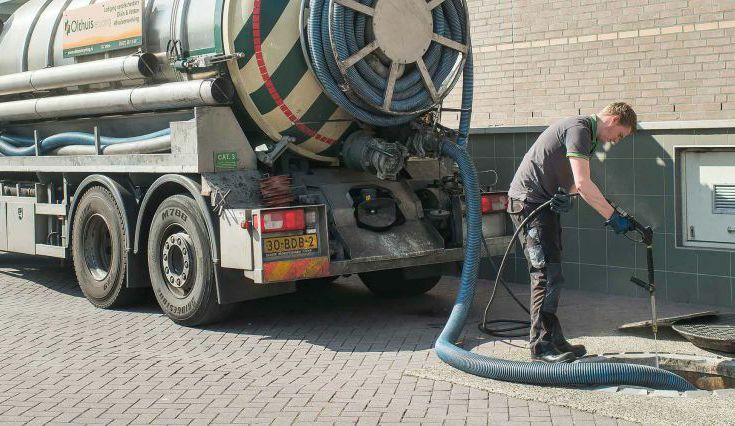 Our people are always on the road anyhow, servicing clients throughout the Netherlands. So we can offer a rapid response if you want us to come by and collect any amount of organic waste. And of course we also have many contracts with restaurants, (institutional) kitchens and food producers, for periodically swapping their full containers with organic waste for clean ones or for emptying the swill tank at regular intervals. Whether it is on a subscription basis or a requested intervention, please remember: you decide when you want us to come by. And of course we’ll be more than happy to discuss with you the most efficient way to get rid of your kitchen waste in a timely fashion to avoid problems with stench, dirt and pests. Before we come get your food waste or swill, you need to get it out of the way and temporarily store it. For this, Olthuis offers different solutions. A food production plant in an industrial area obviously has other needs than a high end downtown restaurant. If only to avoid problems with odours and noise. We offer a variety of containers in all shapes and sizes. 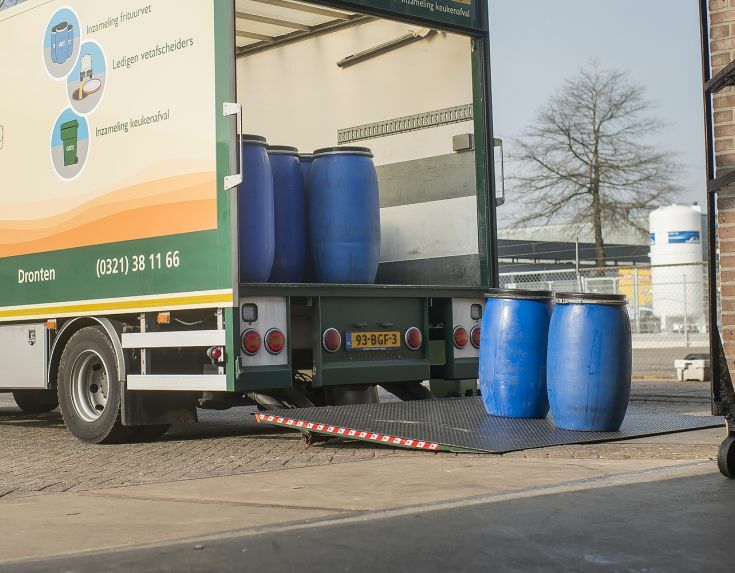 From wheelie bins (known as ‘kliko’ [kleeko] in Dutch), bigger and smaller barrels down to huge underground storage tanks. Together, we’ll study the possibilities and find the best solution for your particular situation. 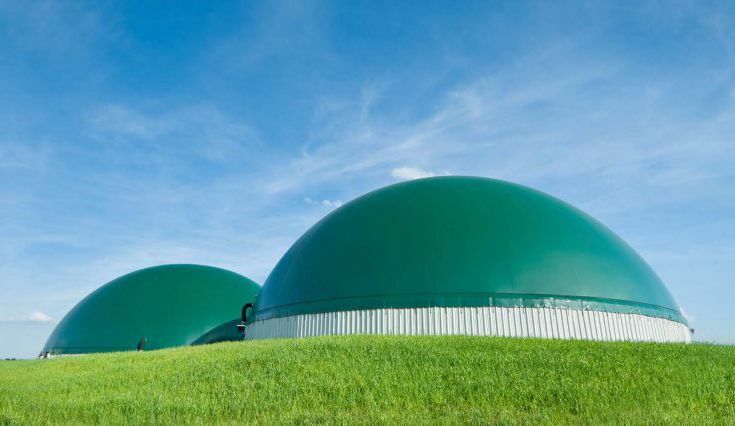 Olthuis Recycling is one of the oldest and yet most modern processors of organic waste in the Netherlands. We control the entire waste process chain. 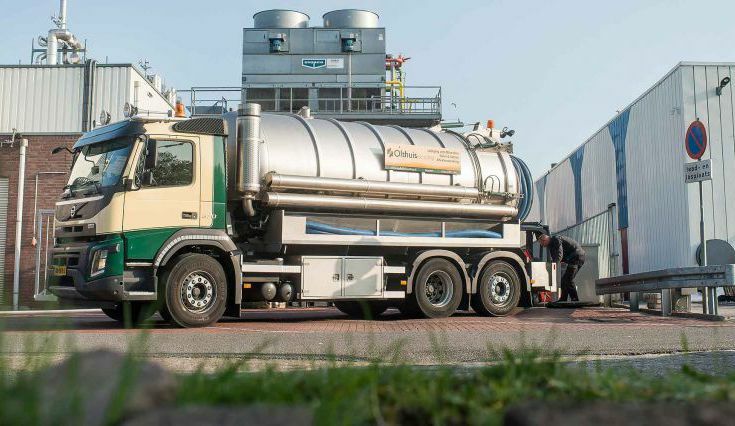 From the wheelie bin in which you throw your kitchen cut-offs and left overs, via the truck that takes it to the processing facilities, Olthuis does it all. As a result, we can collect and process your organic waste in a flexible, efficient and economical fashion.